If you plan on being at the park until closing, don’t miss seeing Fantasmic at Hollywood Studios. Performed nightly at Hollywood Hills Theater at the end of Sunset Boulevard, this is a one of a kind night show where Mickey Mouse takes on the Evil Queen in a classic battle of good versus evil! When Fantasmic begins, we see Mickey Mouse as the Sorcerer’s Apprentice. Soon, we are taken on a journey into Mickey’s imagination witnessing his different dream sequences. At this point in the show, things are bright and happy with some of your favorite Disney characters making appearances and singing popular songs. As the dreams progress, they become darker and Mickey is ultimately challenged by the Evil Queen and ends up battling with the Queen from Sleeping Beauty who appears as a dragon. 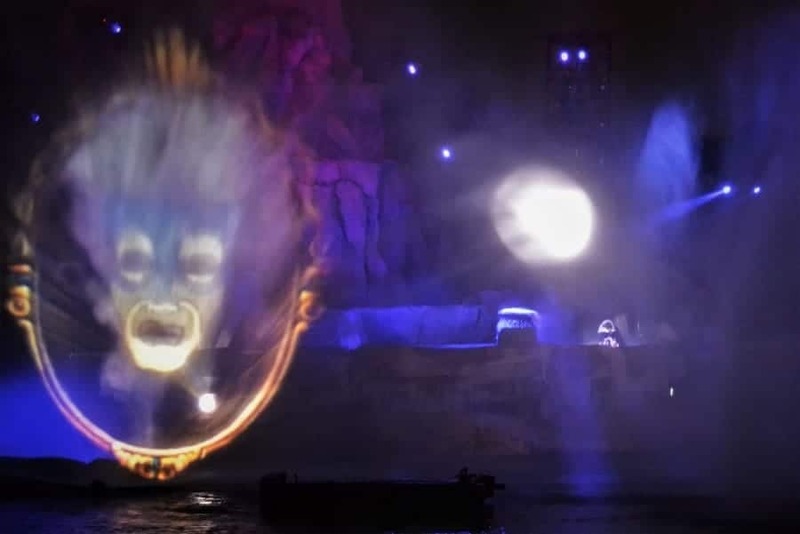 Will Kids get Scared at Fantasmic? There are some scary elements in Fantasmic! If you have little ones who might get spooked by fire, battle scenes, dark undertones, you might want to prep them ahead of time. Overall, however, the show is great and kids above the age of six should have no problem enjoying the story line since Mickey is victorious over the villains. One of my favorite parts of Fantasmic at Hollywood Studios is when the princess floats arrive. The Disney couples float from one side of the theater to the other while they dancing to their theme song. At the end of Fantasmic, Mickey will show up driving Steamboat Willie featuring many Disney characters. This is a great opportunity to see the less common characters that often show up only for Character Palooza and special holiday parties. Seats are general admission unless you choose to do a Fantasmic Dinner Package. In that case, seats are chosen first come, first serve and you enter at a separate entrance near Sunset Boulevard next to Beauty and the Beast. The following restaurants are part of the Fantasmic Dining Package. The menu is a set price and varies depending on what meal and which restaurant you choose. As you can see, the best deal for the Fantasmic Dining package is Mama Melrose’s Ristorante Italiano. There is one other way you can get special seating for Fantasmic and that is by booking the Dessert & VIP Viewing experience. For this package, you will arrive prior to the show where you will be given a tray of treats to enjoy during the show and taken to a special VIP seating area. Currently the treats include chocolate-dipped strawberries, cheese and crackers and make-your-own “worms and dirt” pudding. Along with this, you will get a specialty drink served in a souvenir cup (alcoholic for Guests 21+ with id). 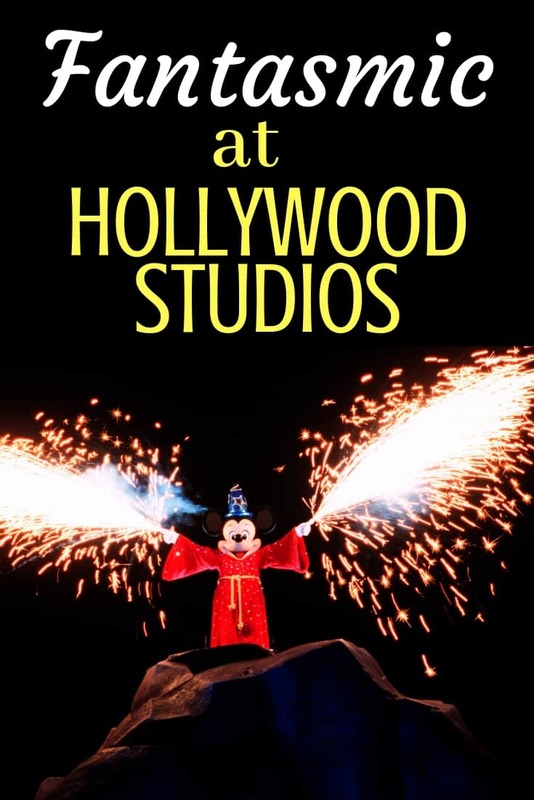 If you do not have the Fantasmic Dining or Dessert package, you will want to get to the Hollywood Hills Amphitheater at least 30-45 minutes prior to showtime for best seats OR use a FastPass to get special seating (far left side of stage). 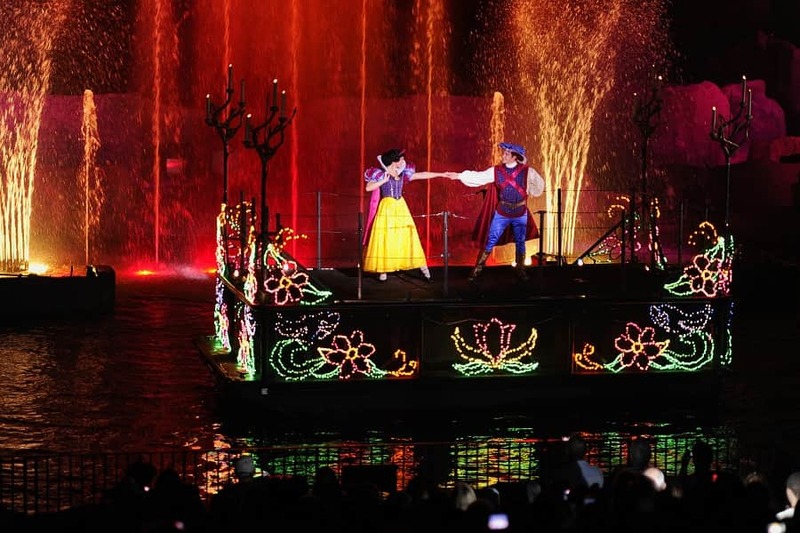 Have you seen Fantasmic at Hollywood Studios ? What is your favorite part?